Prototype: 3 German Railroad, Inc. (DB AG) type Td hopper cars. Version with a hinged roof over the load area. Use: For moisture sensitive freight. 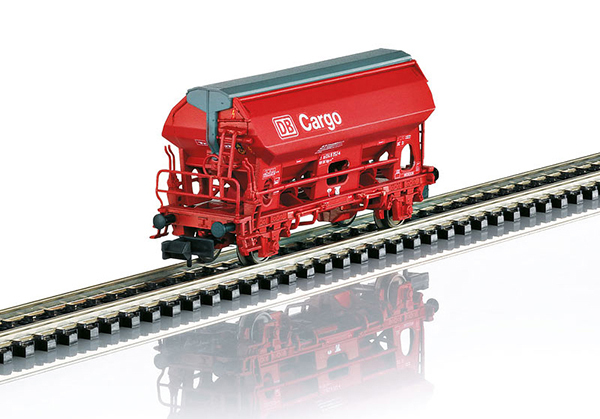 Model: The cars have different car numbers, close coupler mechanisms, and freight loads. Total length over the buffers 180 mm / 7-1/16".